Broughton is a small village of dark honey-coloured cottages built in the local stone with a rather disproportionate amount of 20th century development which is best overlooked. The village is probably best known for its castle which is just outside the village. 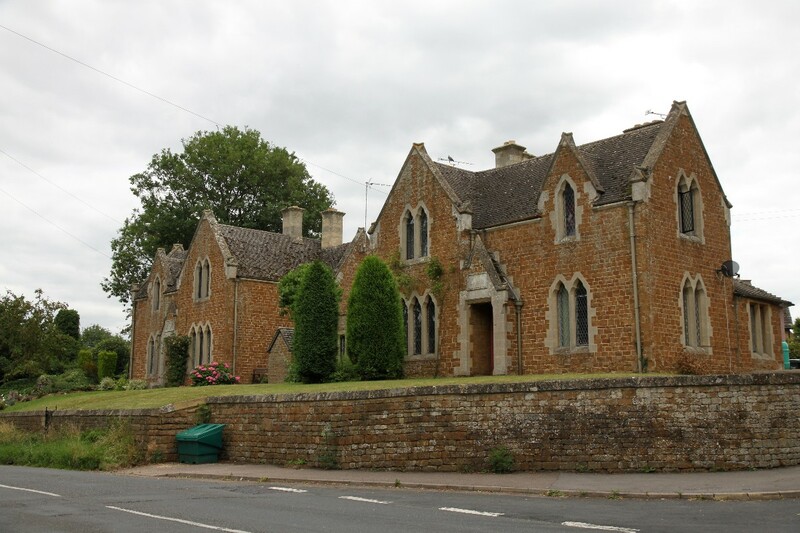 Main Street in Broughton is dominated by some rather severe looking brown stone cottages set above the road and a pair of Gothic Revival almshouses which were built in 1859. 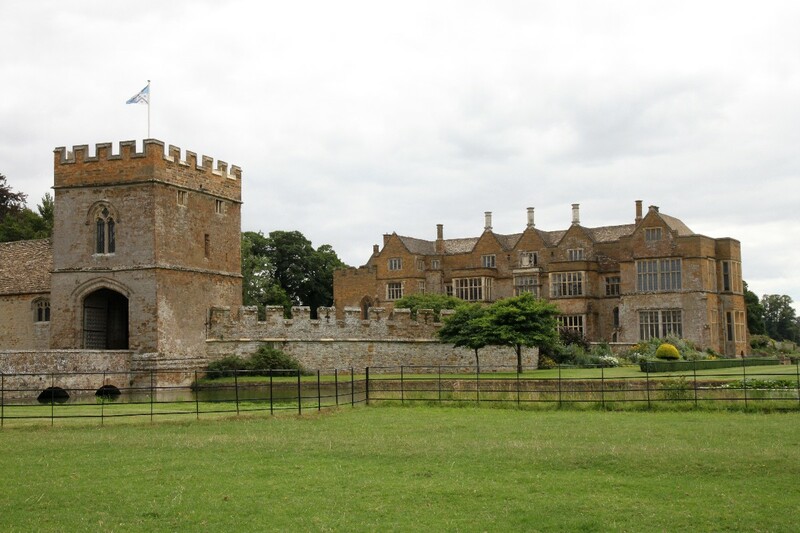 Broughton Castle is a fortified manor house surrounded by a moat which dates from the 14th century. The castle is open to the public. 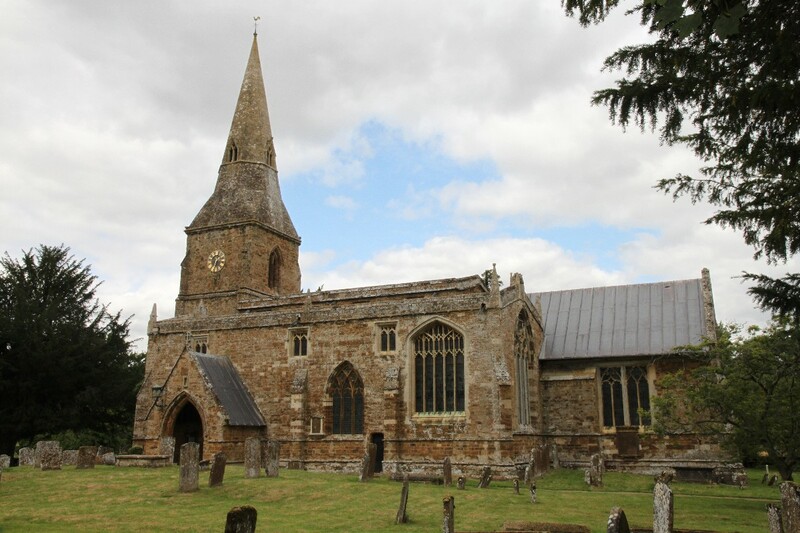 In the grounds of the castle is the parish church, the Church of St Mary the Virgin which was built in about 1300 in a style that is transitional from Early English to Decorated Gothic. The church has many 14th century wall paintings, including a Life of the Virgin in the chancel and an isolated painting of the crucified Christ on a round pillar. 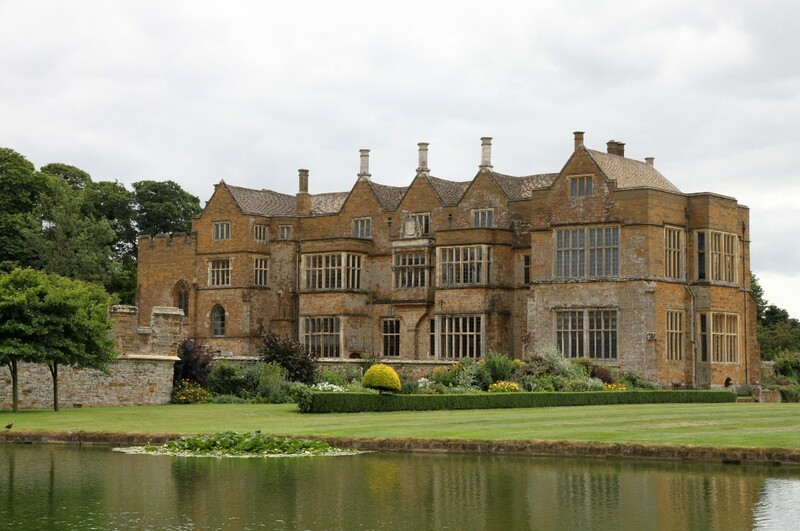 The village pub, The Saye and Sele Arms, is named after the family that has owned Broughton Castle since the 15th century. 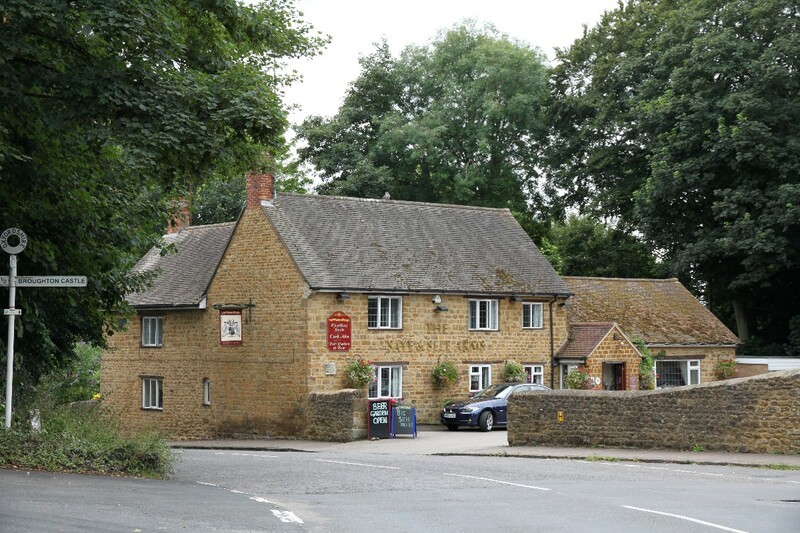 Broughton is about 2.5 miles south-west of Banbury on the B4035.